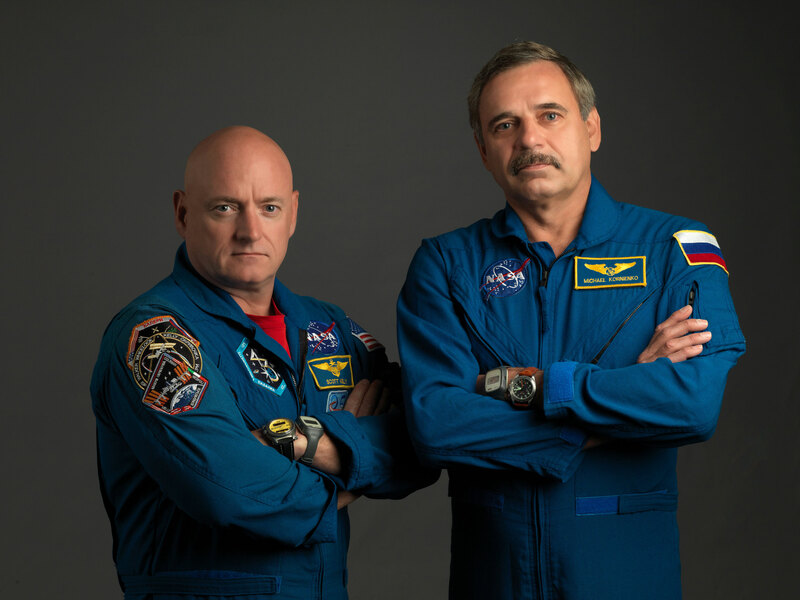 NASA astronaut Scott Kelly (left) and Russian cosmonaut Mikhail Kornienko are spending a year together aboard the ISS. If all goes as planned, on March 27th, a Soyuz rocket carrying the expedition 42 crew consisting of Russian cosmonaut Gennady Padalka, NASA astronaut Scott Kelly, and Russian cosmonaut Mikhail Kornienko will launch on a six-hour flight to dock with the International Space Station. 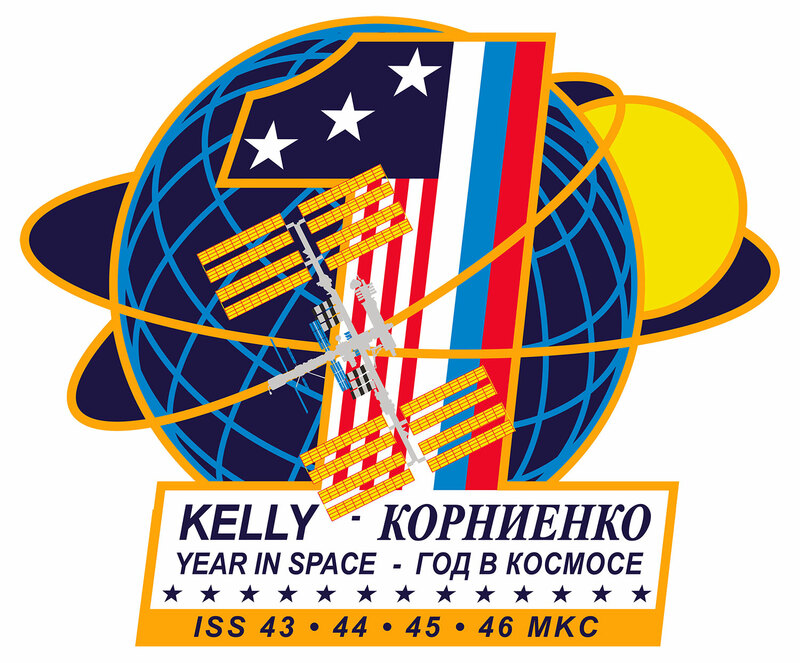 The launch will begin a one-year mission for Kelly and Kornienko aboard the station, the first time anyone has stayed in space for a year or more, since the last cosmonaut flew that long ending in 1999. Kelly and Kornienko will become only the fifth and sixth human being to spend that long in microgravity, and Kelly will be the first NASA astronaut to stay in space continuously for longer than six months. For Kornienko, this will be his second spaceflight. He resided on the station once before from April 2, 2010 to September 25, 2010 as an ISS-23 flight engineer with cosmonaut A. Skvortsov and astronaut Tracy Caldwell-Dyson (NASA). He also performed a spacewalk that lasted for 6 hours and 43 minutes. Kelly will be making his fourth spaceflight having flown his first mission in December of 1999 as pilot of Space Shuttle Discovery on the STS-103 mission. The mission was the third Hubble Space telescope servicing mission and restored the telescope to full working order once again. He flew again in August of 2007 on the STS-118 mission to continue the assembly of the International space Station. He served as Commander of the mission and it successfully delivered the third starboard Truss segment. His third spaceflight was a six month stay aboard the International Space Station where he assumed command of the station on Expedition 26. 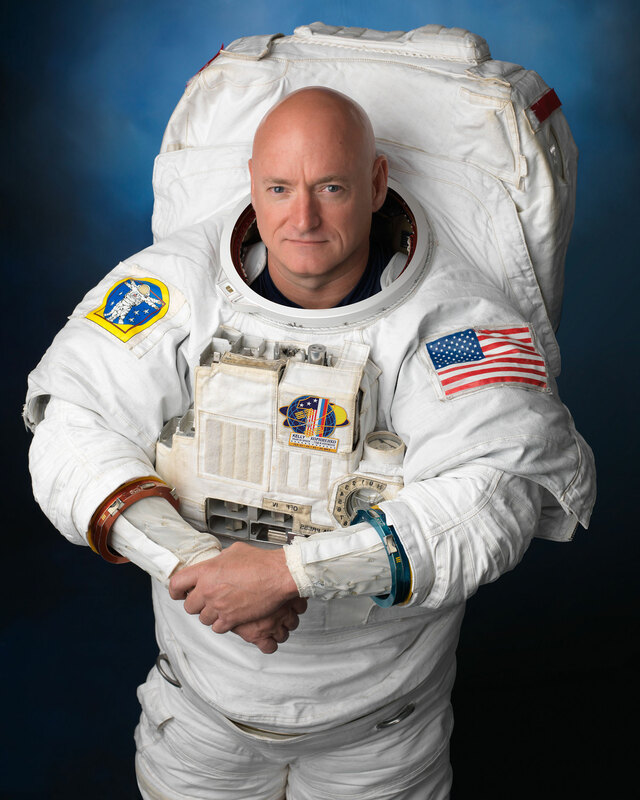 Scott Kelly also comes with an additional benefit, a twin brother, former Astronaut Mark Kelly, will be back on Earth and any changes that happen to Scott can be checked against Mark. This means that Mark will not be a typical research control subject, since his environment and living habits will not mimic those of Scott’s on the space station. So the research is considered observational in nature. There are no defined outcomes for the investigations; instead, this is a chance to compare data collected from genetically similar astronauts to observe the human effects of spaceflight. The main purpose of the one year mission is to help us better understand the medical, psychological and biomedical challenges explorers may face on an extended stay mission. As previously mentioned, they will not be the first humans to stay in space for this long of duration, however medical and technological advances will allow better understanding of the changes Kelly and Kornienko experience over the longer duration mission. With six month missions aboard the ISS being almost routine since 1998, scientists have acquired enough data to begin to characterize the effects of six-month sojourns in weightlessness on astronauts’ bodies. Hopefully the one-year mission will show if the trends continue at the previous rates or if they decrease or increase, requiring new or modified ways to counteract them. This will help NASA prepare the spacecraft, equipment, and the explorers themselves as they venture to an asteroid, Mars and beyond. • Known changes that have yet to be resolved, such as changes in the eye during spaceflight. Over 30% of NASA astronauts have experienced this change. It is now known that there are structural changes to the eyes of some long-duration astronauts (those in space for six consecutive months or longer). It is suspected this could be due to an increase in intracranial pressure, or increased fluid pressure in the head and spine, which may be due to changes in body fluid volume and distribution. • Investigation of the physiological cost of spaceflight adaptation, what changes occur in the crew member’s body chemistry and metabolism, their immune function, cardiovascular capacity, and bone architecture. It’s already known that long-term exposure to weightlessness causes a physiological, multi-system adaptation in crew members. These changes affect the ability of crew members to move and function upon immediate return to a gravitational environment. Scientists would like to assess functional abilities, physical performance and the state of the physiological systems in crew members shortly after their return to Earth. 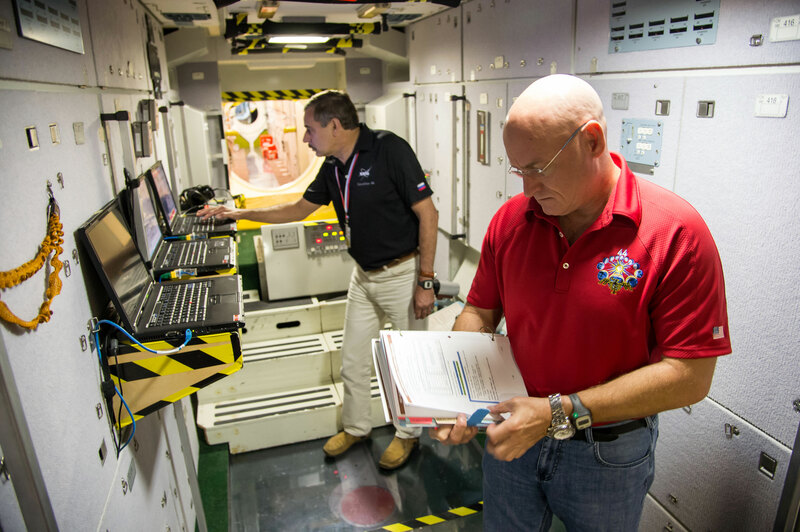 The intent is to develop methods for rapid evaluation of these functions, create a time course for recovery, and develop field technologies that allow crew members to assess their own physiological changes. Autonomous medical testing is crucial for crew members in successfully carrying out tasks upon terrestrial landings, as well as recovering and adapting to their environment. • Evaluate the current methods being used to counteract the physiological changes we already know occur, such as improved exercise protocols to maximize the benefit (reducing the negative physiological effects of spaceflight, such as bone loss and muscle atrophy) while minimizing the crew members’ time required. • Behavior and performance, especially sleep and wake cycles, cognitive performance, and team efficiency, including brain imaging pre-and post-flight. This research also looks at behavioral issues associated with isolation and confinement. Assessing how confinement affects individual and group performance will be crucial for long duration missions and lunar and planetary expeditions. As always, there are other things to be done on the station during their mission other than biomedical research. But they’ll be there in a very exciting time for the station. Two new docking adapters will be installed on two U.S. ports to accommodate the upcoming commercial crew spacecraft currently being designed and built by Boeing and SpaceX to bring astronauts to the ISS using American launch vehicles. This includes moving one of the ISS storage modules using the stations robotic arm to a new location. Currently there are at least six U.S. spacewalks planned including at least three by Kelly to support all the changes. With their third crew member, cosmonaut Gennady Padalka, only staying for six months, and the fact that the Soyuz spacecraft are only allowed to stay in orbit for six months, some creativity was required to make sure Padalka returned home before the other two, and that there was a “fresh” spacecraft for the Year Long duo to return to mother Earth in. In steps singer Sarah Brightman, the first “space tourist” paying for a ticket to visit the station since 2009. She will launch on September 1st along with ESA astronaut Andreas Mogensen and spacecraft commander Sergei Volkov aboard the Soyus TMA-18M spacecraft. Upon docking the trio will boost the stations occupant count to nine. This will last for just 10 days however as Brightman and Mogensen will return to Earth with Padalka in the TMA-16M spacecraft that he launched in with Kelly and Kornienko six months earlier. This will leave the TMA-18M spacecraft in place and Volkov will be the spacecraft commander when he returns to earth with Kelly and Kornienko on March 3, 2016. The mission will have lasted 341 days if the launch and landing dates do not change. Learn more about the one-year mission at: http://www.nasa.gov/content/one-year-crew/. Follow the latest happenings on the ISS at: http://www.nasa.gov/mission_pages/station/main/#.VLkZOyvF_uQ.